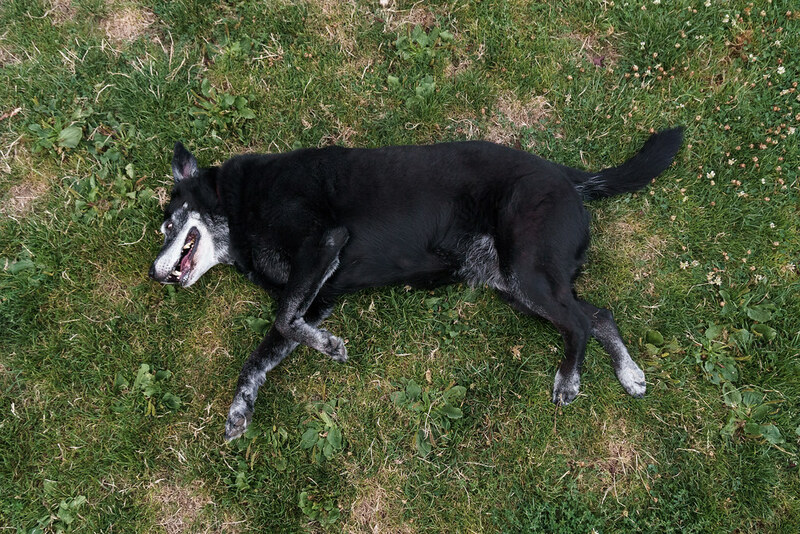 Ellie is 13 or 14 years old and rarely wants to go up to the dog park at Irving Park anymore, but last night she was up for it and had a grand time rolling in the grass. This entry was posted in Pets and tagged black lab, dog, dog park, Ellie, Irving Park, Irvington, Oregon, playing, Portland. Bookmark the permalink.